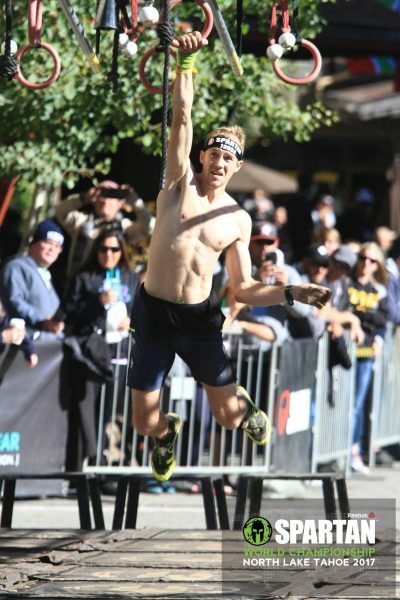 The Spartan World Championships was the race that set me on my journey of being a full-time athlete. After winning the 2014 edition and having already quite my job to move to Norway, I just carried on racing as a way to make a living. Since then I have had somewhat disappointing results within this type of obstacle course race. 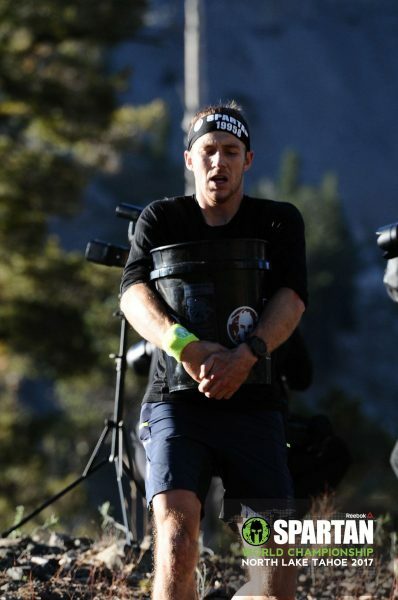 I won the European Championships twice but every time I travelled to the USA for a Spartan I seemed to finish 4th, including both the 2015 and 2016 World championships. This has been partly due to the fact all but one of these races has been at altitude but I hate trying to justify it to myself. I didn’t have much hope for these World Championships either. 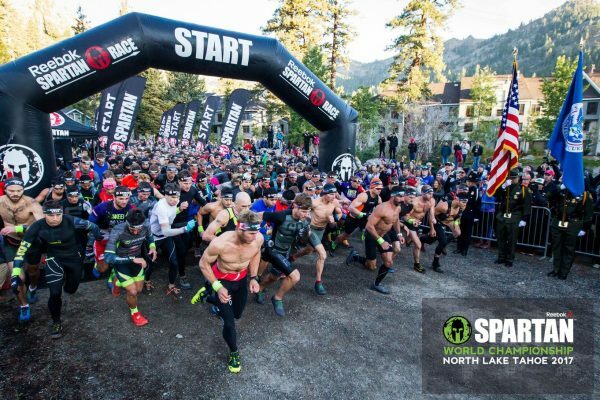 The race was once again at Lake Tahoe where the air is somewhat thinner than where I live. Many people that know me understand my partly psychological and partly physiological problem with racing at elevation. 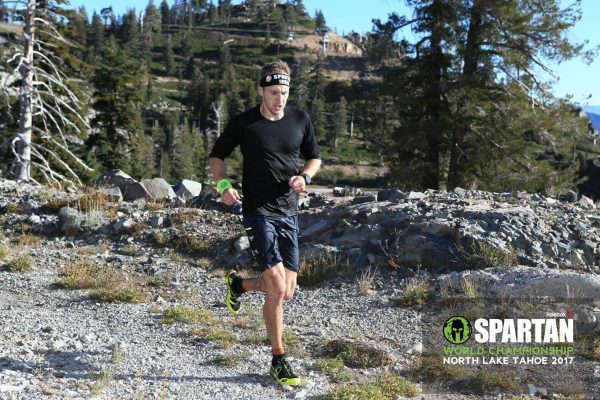 I like to feel strong when I run, I like to crush courses feeling the strength flow through my legs…this feeling never comes when I am up high, I feel like a 10 year old girl with a pair of the best running trainers you can buy. I am often told I should acclimatise, or ‘it’s all in your head’ and living at sea level isn’t that big of a disadvantage but no matter how I approach a race I get the same results, which are never on par to those closer to the sea. I have now at least refined some tactics for when I do race at elevation. Such as drinking a good deal of water and electrolytes in the days before. Not bothering to run at all once I arrive, just be as lazy as possible. Try to stop analysing my body (which as an athlete is hard). The most important tactics though are during the race, namely at the start. Any effort, especially early on, will destroy me and at altitude there is no coming back once you fatigue yourself for even 5 minutes. So a race has to be done smoothly, no drastic charges, no fireworks, just grind. Many wonder why I even bother to keep going back if I feel so hard done by at altitude. There are many reasons including seeing some racing friends and at least to give up a fight so the eventual winner can claim they beat a past world champion. But how much of a chance did I think I had to be that person that won…on being asked the question by Joe Dessena the day before I said ‘5%’. These races are too competitive to allow someone more of a chance than that if they are not acclimatised. Spartan obviously agreed and allowed me the freedom of not being on the athlete panel and thankfully left of the list of likely winners. Deep down I knew I at least had a chance but I still held to the statement of ‘this isn’t my race’ and ‘ I have bigger races on the horizon’. The course was at least going to be different from the two years previously. In fact, we would run the entire 16miles backwards giving a 400m climb at the end, allowing for a last kick to grab extra places. With even better competition than years previously bettering my usual 4th place was going to be difficult but as always I was going to give as much as I could. Recalling the specific training I had done for this race I could only think of one gym session a week before. I had beasted myself a bit before having a sauna and going to dinner with my wife. Apart from this I would have to rely on my usual mountain running/racing and joy of bouldering to get me through. There wouldn’t be many people lined up that were celebrating 1 year since last throwing a spear like I was. All of this lack of belief in myself did bring a surreal relaxation, I was just going to go as hard as my lungs would allow and see how the race would pan out. Starting at the front I was soon swarmed by many eager racers on the initial climb. I tried to keep it easy and usually use the tactic of chatting to help me do this. Hunter with the same strategy was happy enough to natter in a pleasant conversation as everyone else amongst us breathed their lungs raw. The obstacles soon started though and this left little breath to chitter chatter. After the first few obstacles I found myself following a bear chested racer for 5 minutes before realising it was Ryan Atkins and couldn’t help but laugh. So many times have we been in this situation, running together in a race where the course would reveal which one of us would excel. Exceptionally heavy carries and he was a sure bet to crush me but slightly lighter ones and it was game on for me. We hit the bucket carry together, down first then up the hill. Ryan streaked of on the downhill somewhat oblivious to the fact that spilling any gravel would spell disaster. Making the turn to head back up again I was shocked at how I was catching him. WTF, maybe my legs would be good today I thought, this didn’t make the experience any easier though and I was somewhat gassed as we both emptied our buckets. We would then play cat and mouse for the following hour and a half. Different situations would allow either one of us to grab a hundred meters on each other but one thing was for sure and that was that we were clawing our way through the ranks. Double sandbag, the first spear, herk hoist, swim and a load of other obstacles completed, we found ourselves in joint third on a big descent back to the village. I opened up and got a lead pounding down a gravel road so fast I thought my legs would fall off. Two previous world champions were leading and there was the last climb and descent to maybe catch them. Starting the climb I heard Steve Hammond shout, ‘now Jon, you have to make your move’ effort levels increased by 10% as I thought ‘OK’. 30 seconds later I started to wheeze and backed off. Maybe not, hopefully they will slow down. Gradually I did make inroads to Robert Kilian’s lead ahead of me but Cody in first was gone. On the final downhill, I closed up the final 100m to Kilian and overtook. We hit the second spear together and I drove mine in first. That was it. I wanted second. The final string of obstacles was somewhat gruesome but I kept my cool working my way through them before finally crossing the line still in second. 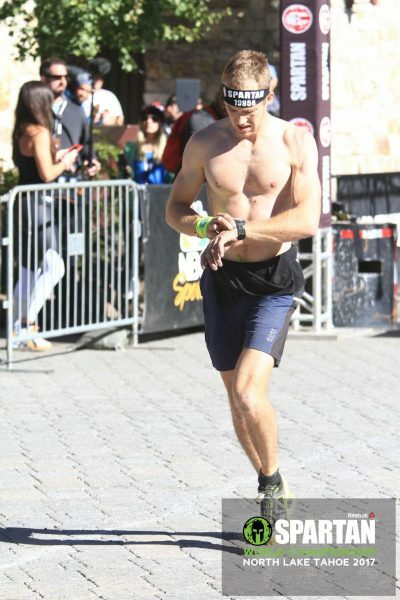 No fireworks or explosions and no burpees – through the entire race I kept a steady work rate which with the course length allowed me to sneak into a pleasant second. There was no catching the deserved winner Cody Moat so I was more than happy to stand on the podium as the only European in the top 10. Job done I now turned my attention to the team race the next day. 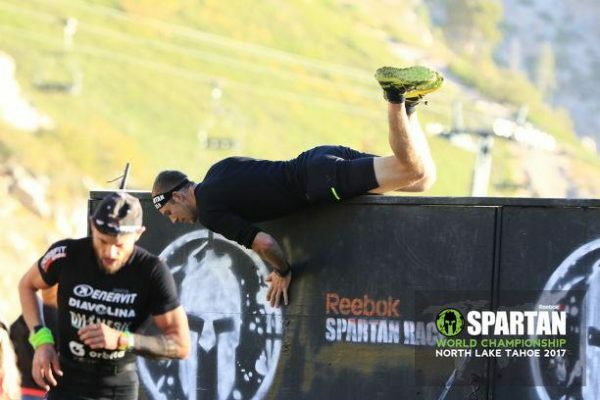 As I hadn’t completed a Spartan during 2017 until now, I wasn’t picked for the team but Ross Macdonald had come up injured so I was drafted in. Not feeling entirely fresh Jade Skillen, Scotty Barker and myself battled our way around the 10 mile course to finish in 8th. It wasn’t much of a recovery run but I was happy to be none the worse for wear afterwards and already looking forward to the Toughest Final a couple of 1000 kilometers and less than 1 week away! Congrats!!! I noticed you and Ryan were wearing Scott RC’s Supertrac… how did you Ike them?? Great read very open and honest as ever Jon.